New Issues Poetry & Prose, 9781930974869, 79pp. 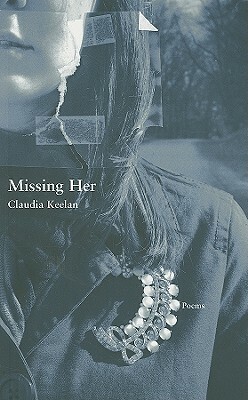 CLAUDIA KEELAN is the author of five previous collections of poetry including Refinery, The Secularist, Utopic, and The Devotion Field. Her awards include the Jerome Shestack Award from the American Poetry Review, the Beatrice Hawley Award from Alice James Books, the Robert D. Richardson Award from the Denver Quarterly and the Silver Pen Award from the State of Nevada. Her poetry has been anthologized in The Body Electric (Norton), American Hybrid (Norton), Lyric Postmodernisms (Counterpath), and The Book of Irish American Poetry (University of Notre Dame Press). She lives in Las Vegas with her husband, the poet Donald Revell, and their children Ben and Lucie.